Say it with me. You are not a Plant Killer. You don’t need a green thumb. All you need is some information and a few tips to learn how to best take care of your green friends. 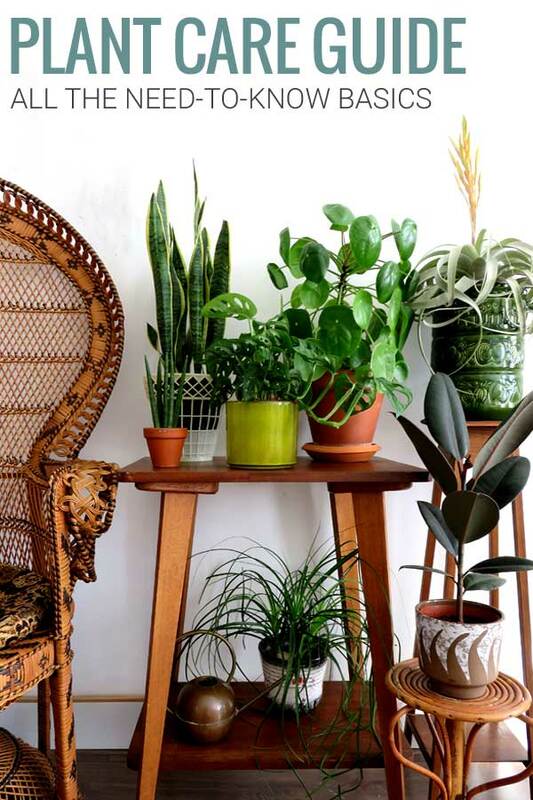 If you want your houseplants to thrive there are a few things you should think about. It’s all about the type of plant you choose, the location you put it in, and when and how you water it. 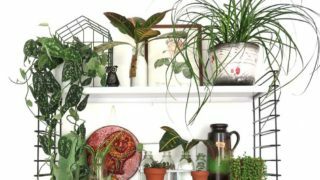 You also want to learn some general houseplant care. What you should be doing throughout the year besides admire your plant. 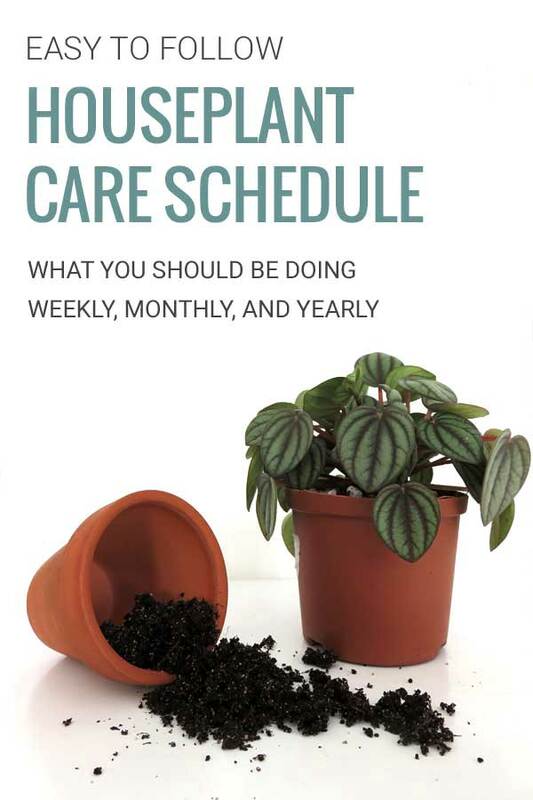 Keep reading for a complete and easy to follow houseplant care schedule. Want to read it later? Pin it! 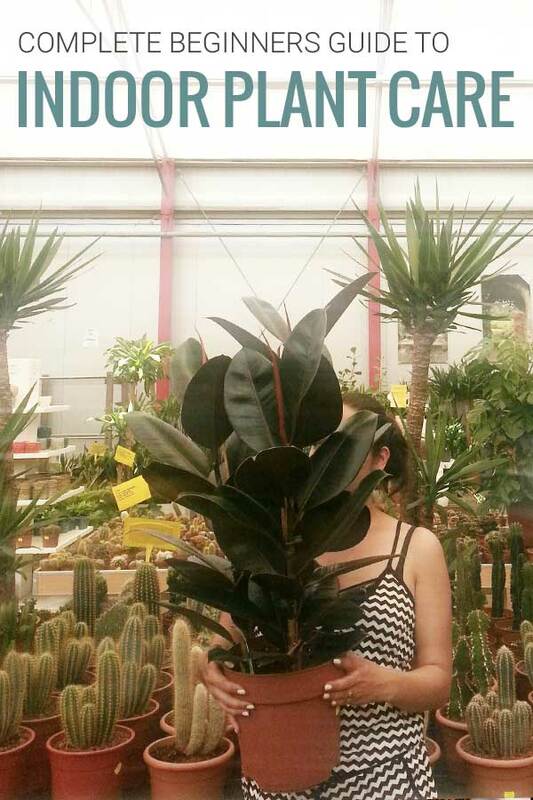 The majority of our houseplants come from tropical climates. 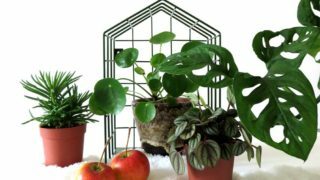 Their specific needs might vary, but there are a few general guidelines to follow and successfully grow plants indoors. Most popular plants being sold to the public are plants that are able to survive in the environment of our homes. And they are chosen because they are fairly easy to care for. Plant sellers really want you to succeed. 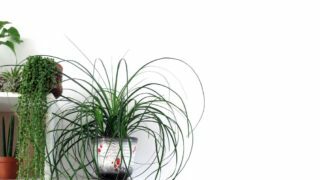 If you are about to go out and purchase a new plant, start by reading Where and How to buy Indoor Plants. 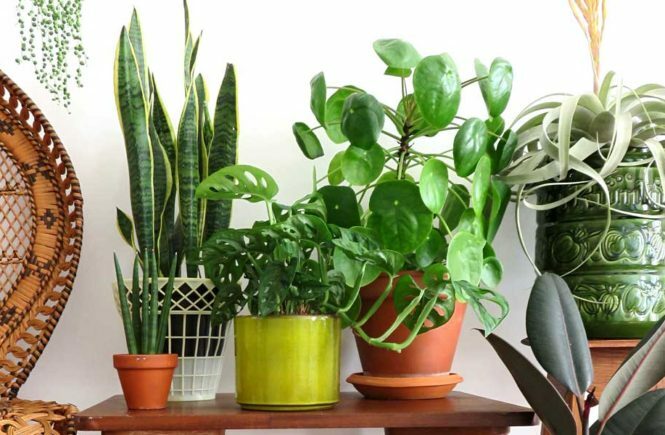 Find out where to find the best houseplants and how to choose the right one for you and your home. 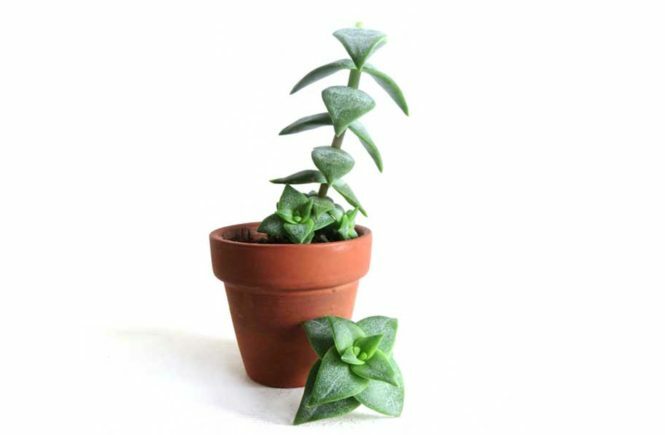 Succulents are a great choice if you tend to forget to water your plants. They are very drought resilient, and easy to care for. 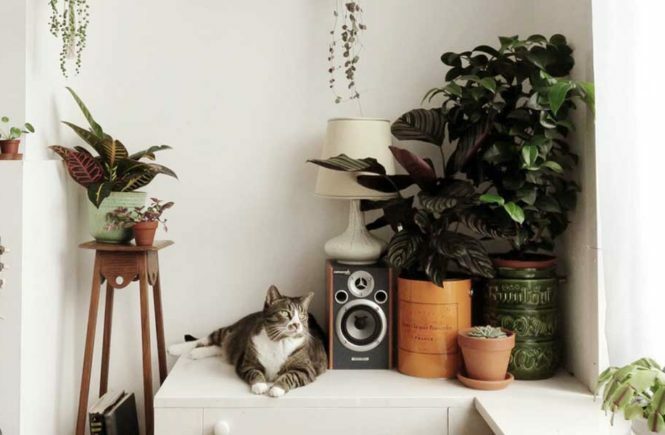 When you get your plant home, it’s time to put it in a spot where it is most likely to do well. This means look at the light situation in your home. All plants need light to grow, but some need more, or less, than others. It is important to find the right light for your plant. Quick side note: Think about the light in your home before purchasing your plant. Direct sun, bright light and low light are very different. Not enough light and your plant will not grow and wilt away, too much sun and your plant might suffer from sunburn. Knowing the light in your home and the light your plant requires, sets you up for success. If you don’t know what type of light your plant likes, or what type of light your room has, you will have to move your plant around to find out where it does best. A good rule of thumb is that in general, most houseplants like a bright window with direct sun part of the day. Plants with bright colored leaves like more light than others. The number one reason most indoor plant die is because of overwatering. Too much water can kill your plant quick. Don’t just water your plant because you decided to water every Sunday. It might not need it yet. If your plants are in well-draining soil (please say yes), in a pot with drainage holes (please say yes), you should water when the top inch of soil feels dry. Stick your finger into the soil to check. Is the soil dry, go ahead and give your plant a good soak. If the soil is still moist from the last watering, don’t water. Instead, wait one or two days and check again. For more ways to know when it’s time to water your plants, read When and How to Water your Plants. 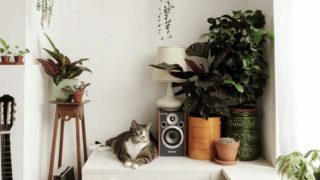 To make it even easier to care for your indoor plants, just follow this houseplant care schedule. Find out what you should do for your plants, and when to do it. Every week, do a quick overall plant check up. Does your plant need water? Check the soil to see if it is time to water. Look at your plants overall well being. Does it still look lush and happy? Inspect closely to be sure they are free of pests. You want to catch them early before you have a possible infestation. Remove leaves that are yellowed, browned, or withered. Every month, give your plants a spa day. In our homes dust collects on leaves. 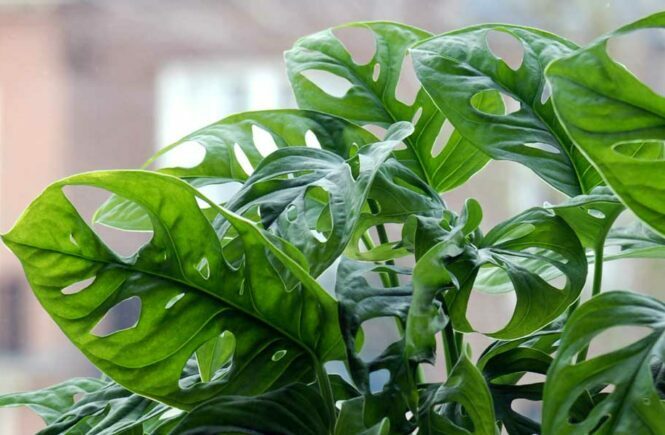 The leaf pores get clogged and the plant has a hard time taking in light. Use a soft cloth to wipe down the leaves, or bring your plant to the bathroom and treat it to a gentle room temperature shower. Make your plant look better by pruning. Remove any dead leaves and branches. Cut long branches back to a side shoot or the main stem. Rotate or move the plant to a different spot if it needs more or less light. If you have a stretched out succulent searching for light, read How to Fix Stretched Succulents (and make more plants!). When spring comes, get ready. Spring is peak action time in plant care. When the days get longer and lighter, the plants start their active growing period. This is when you might start adding (diluted) fertilizer to the water to give your plant an extra boost. If you need to repot your plant, do it during this spring growth spurt. The plant will be on full strength and has the energy to quickly recover from any possible repotting stress. To find out if your plant needs repotting, check the roots. If they are coming out of the drainage holes on the bottom or circling the inside of the pot, it is time to repot. 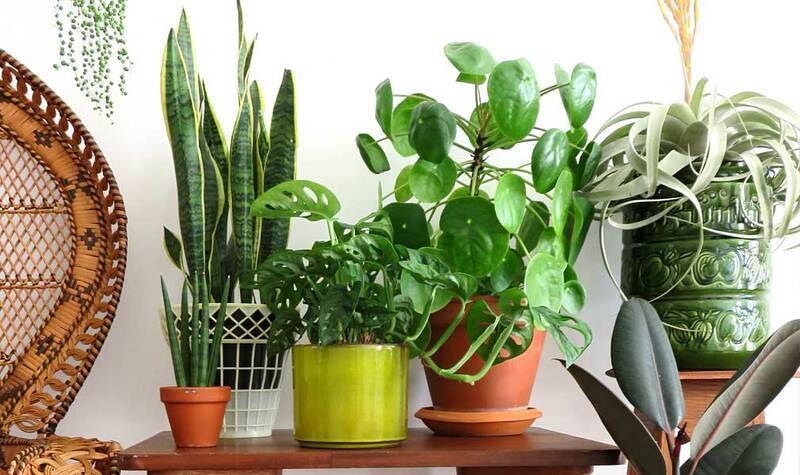 For more repotting tips, read When and How to Repot Houseplants. If you are dealing with high temperatures, read How to care for plants during a hot Summer, and get your plants through the heat.